This tutorial shows how to create the cross processing effect you can see in the HMS Belfast - Cabin Door image. It's a lovely effect, especially on low colour or high contrast images. I also cover how to make an action. PhotoWalkthrough.com made it into the iTunes podcast directory today so as a special celebration I've decided to launch the final chapter of tutorial 2 early. In this tutorial I cover layer order and spot editing onto a new layer. Chapter 2 of the latest tutorial is now available. I'm still tinkering with file sizes and audio formats. Sorry to anyone that tried the videos and got no sound at one point last week. Try again now - it should be working again. I've also added an AVI download link to the tutorial page for linux users or anyone that wants to keep copies of the videos. 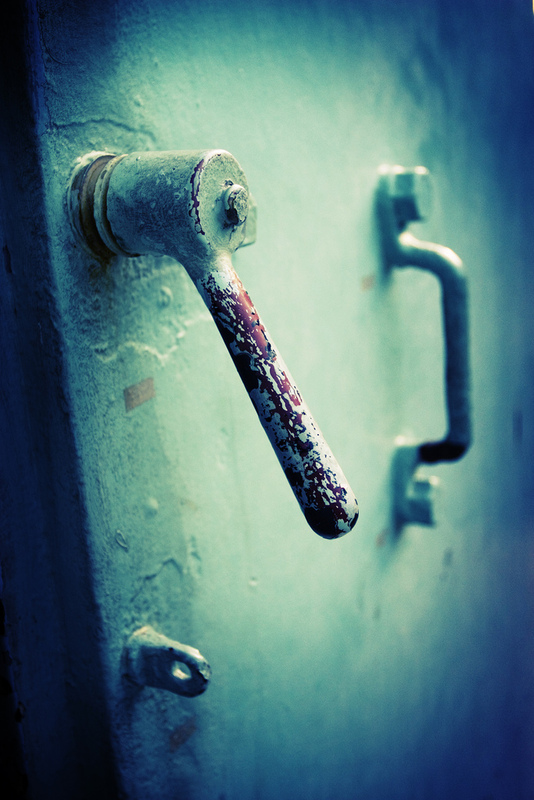 The current tutorial shows how to create the cross processing effect you can see in the HMS Belfast - Cabin Door image. It's a lovely effect, especially on low colour or high contrast images. I also cover how to make an action. New steps will be made available over the coming days.